We aim to offer a creative and exciting curriculum that develops self motivated, independent learners. This is achieved through a thematic approach which unites the whole school, focussing on the same topic for half a term at a time. This enables us to maintain our feeling of 'family' sharing workshops and school visits as well as resources and ideas. It also means children can 'showcase' their work to other age groups and learn from the work of other classes as well as their own. Topics are cross curricular but each one focusses on one or two foundation subjects as well as English and maths. We believe that children learn best when they are motivated and interested. We therefore work hard to develop a curriculum which children find exciting and challenging, wherever their ability and interests. Our approach ensures coverage of the curriculum through different learning styles, which gives all children the chance to learn in the way that best suits them, whether this be by seeing, hearing or doing. By talking about and sharing their ideas, children come to understand the power of collaboration whilst developing the confidence to 'have a go'. They learn skills, knowledge and concepts through doing and experiencing, then have a chance to be creative to show they can apply these skills in different situations and contexts. Every topic includes a visit or a workshop to engage children or to provide an opportunity to apply their skills. Here at Hope Hamilton we provide a creative curriculum based around the Cornerstones Curriculum. 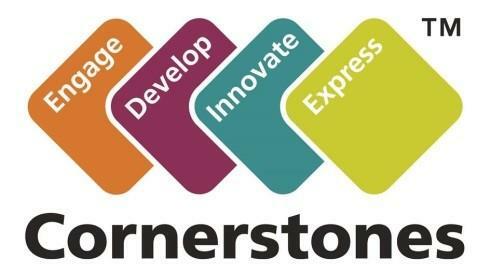 The Cornerstones Curriculum is a creative and thematic approach to learning that is mapped to the new 2014 Primary National Curriculum to ensure comprehensive coverage of national expectations. Our new curriculum will be delivered through topics or Imaginative Learning Projects (ILPs) which will provide a rich menu of exciting and motivating learning activities that make creative links between all aspects of our children’s learning. We believe children learn better when they are encouraged to use their imagination and apply their learning to engaging contexts. Our new curriculum provides lots of learning challenges throughout the academic year that will require children to solve problems, apply themselves creatively and express their knowledge and understanding effectively across the curriculum. If you have any further questions about the curriculum, please send them using this form. We will respond as quickly as possible.